You only get one chance to make a first impression, and that’s why the team at Integrity Dental would like to take this chance to say hello properly and give you a warm welcome to our blog. As your premier dentist in Farmington, Dr. James Cole not only provides comprehensive care in a compassionate manner, he takes pride in giving back to his community and is service-oriented. In the office and in our blog, he enjoys educating his patients on proper oral care, and how treatments can benefit them, as well as the latest news from the practice. Learn more about us here and see for yourself why we’re the right dental team for you. What Makes Dr. Cole Different? As one of the leading dental experts in New Mexico, Dr. Cole has over 25 years of experience in all facets of dentistry. He’s a member of the American Dental Association, and is a member of the exclusive American College of Dentists – only 3% of oral healthcare professionals can say they belong to this prestigious collective of experts. Dr. Cole is a family man whose faith directs him in all he does. He treats his patients like he would like to be treated, and to give back – not only to his community, but to those in parts of the developing world who can’t afford dental care. He’s provided free dental care and completed 9 mission trips to the villages along the Amazon in Peru and 4 additional missions to Mexico. He’s a former Chair for San Juan County Mission of Mercy and he volunteered his time at Give Kids a Smile for years. What Services Does Integrity Dental Specialize In? 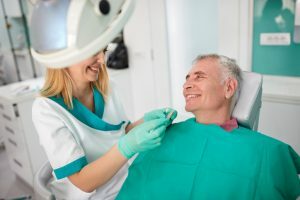 Restorative Dentistry – If you need a life-like, long-lasting dental implant or crown, Dr. Cole provides the most beautiful replacement teeth in New Mexico. Children’s Dentistry – With treatments like sealants to prevent cavities and Invisalign, we’ll make sure youngsters are healthy and happy with their grins. Cosmetic Dentistry – Looking good is important for everyone – no matter their age – and we create radiant smiles for teens, adults, and seniors with porcelain veneers. Juice+ – A delicious supplement that contains vitamins and minerals from fruits and vegetables. This nutritional boost fills in the gaps in your diet, and protects your teeth and bones. Now that we’ve made the great first impression we were aiming for, what are you waiting for? Schedule your appointment with Integrity Dental today, and say hello to us in person!